In a world that lies between reality and imagination, a "fanciful, action-packed adventure" awaits ("Publishers Weekly," starred review). 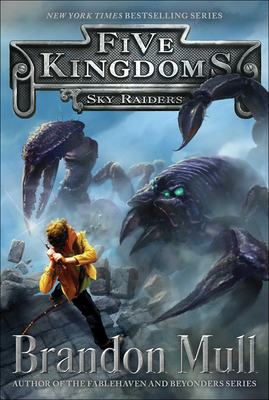 Come and claim it in this first book of the Five Kingdoms series, from the #1 "New York Times "bestselling author of the Fablehaven and Beyonders series. After Cole sees his friends whisked away to some mysterious place underneath the haunted house, he dives in after them--and ends up in The Outskirts. The Outskirts are made up of five kingdoms that lie between wakefulness and dreaming, reality and imagination, life and death. It's an in-between place. Some people are born there. Some find their way there from our world, or from other worlds. With the magic of the Outskirts starting to unravel, it's up to Cole and an unusual girl named Mira to rescue his friends, set things right in the Outskirts, and hopefully find his way back home...before his existence is forgotten.